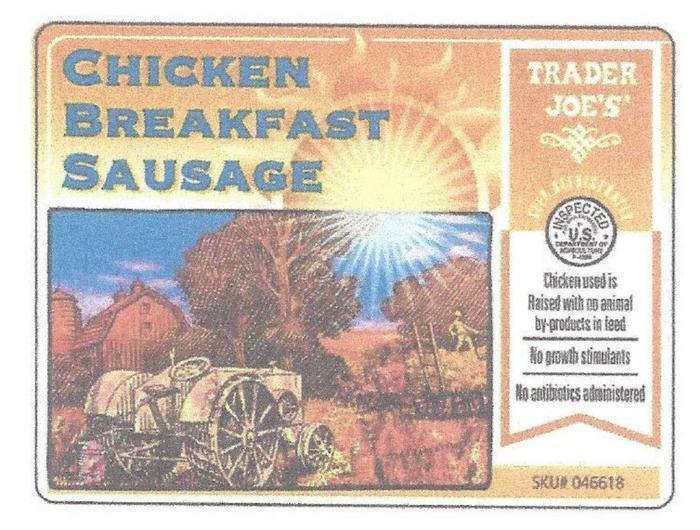 DiLuigi Foods of Danvers, Mass., is recalling approximately 3,448 pounds of chicken breakfast sausage. The product contains soy lecithin, an allergen not declared on the label. The recalled product, bearing establishment number “P-4398” inside the USDA mark of inspection, was shipped to Trader Joe’s stores in Connecticut, Delaware, Maine, Maryland, Massachusetts, New Hampshire, New Jersey, New York, Pennsylvania, Rhode Island, Vermont, Virginia and Washington D.C..
Consumers with questions about the recall may contact John Carroll at (978) 750-9700 ext. 5805.